Heat oil in the wok. Add broken red chillis and pancha phutana. When the seeds start spluttering, add the onions and garlic. Fry till translucent. 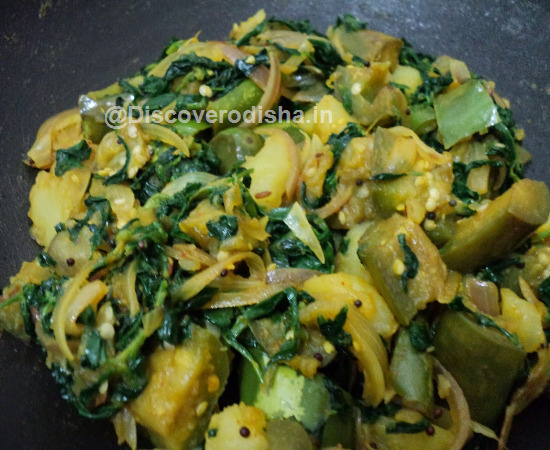 Add the methi leaves and fry on medium to high for 2-3 minutes. Add the potato and aubergine cubes along with salt and turmeric. Cook covered while stirring at regular intervals. Remove from the flame after 6-7 minutes or once the methi leaves and aubergine are cooked through. Serve hot with rotis or rice.